Roosebeck Ebony Lute Pegs 15 Pack LUTE PS. 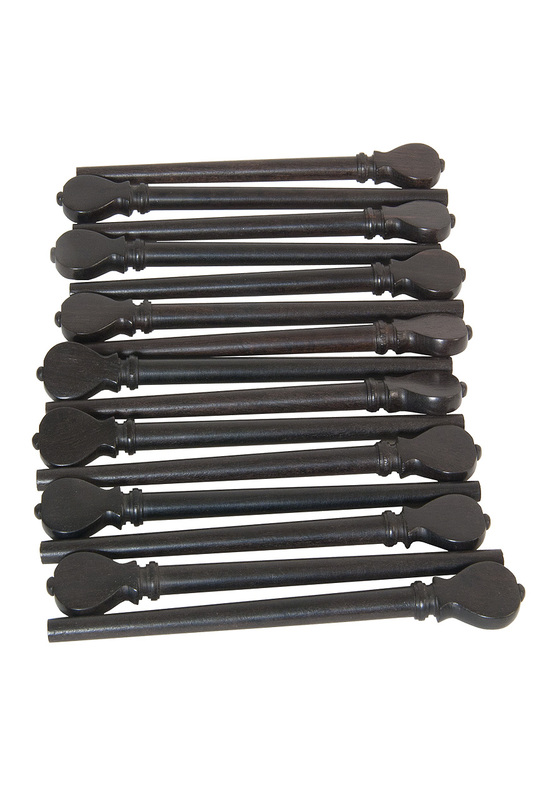 Set of 15 lute pegs made from ebony. Includes 9 large pegs and 6 small pegs. Dimensions may vary. Length of Larger Peg: 4.25"
Length of Smaller Pegs: 2.9"